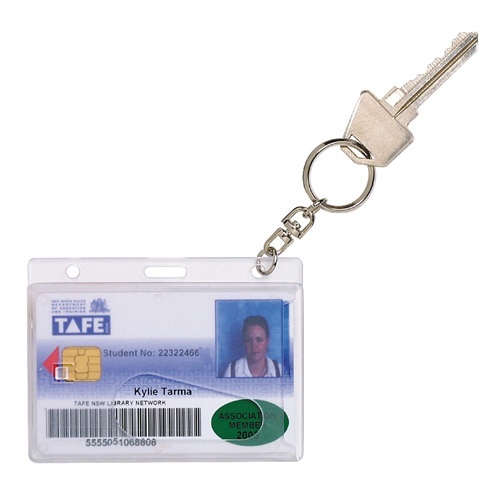 An economical, simple and easy way to protect and carry security and identification cards. Security and ID cards can be inserted into the top of the pouch. Each pouch is made from soft plastic for flexibility and durability. They are pre-punched with holes allowing you to attach a lanyard, clip or neck chain. Pack of 10 Portrait orientation pouches. Pack of 10 Landscape orientation pouches. 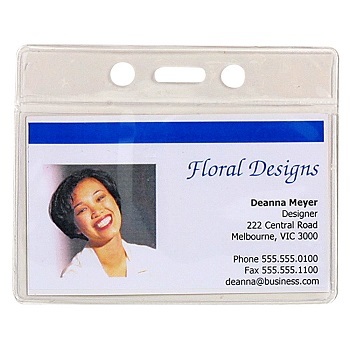 These Rexel Self Seal Pouches are a great way to protect and secure your ID, luggage tags and business cards. 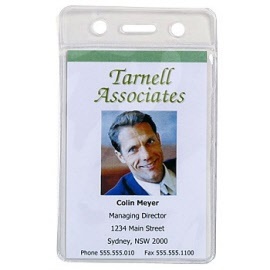 They have a self sealing feature with no need for a laminator. 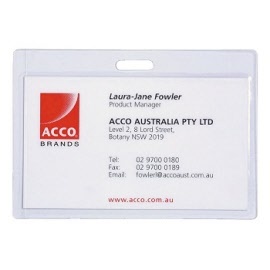 Pack of 10 Clear Rigid Card Holders with Keyring.